Play On: Toronto Raptors +1. I’m recommending a play on the Toronto Raptors on Sunday evening. The Raptors have been knocked around a bit in their last two games, losing at Portland in OT, followed by a 126-105 loss at Golden State. The back-to-back losses came on the heels of an 8-1 SU run. A loss tonight would mark their first three-game losing streak of the season, but I don’t believe it’s going to happen. 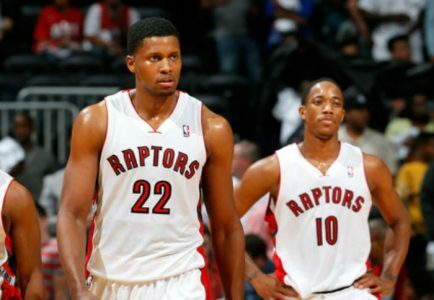 The Raptors are on a 23-9-2 ATS run following a loss, bouncing back quickly under Dwane Casey. They will look to clamp down on the defensive end of the court after giving up 126 points to Golden State, after all, the Suns can score also, averaging nearly 107 ppg. But if it gets into a shootout, the Raptors are well equipped to win at a faster pace. Toronto ranks third in the league, averaging 108 ppg and have actually topped their season average of late, posting 111 ppg in their last seven outings. Casey’s troops will face a Phoenix Suns’ squad that’s one of the worst teams in the NBA in points allowed per game. Toronto beat Phoenix 104-100 in a meeting in November. The final score was closer than the game for the most part. In fact, the Raptors led by 15 points through three quarters of play. Toronto had the services of DeMar DeRozan in that one and obviously, he’s out for a little while longer, but the Raptors learned to get it done on the offensive end without him. As far as the “window dressing” is concerned, the Raptors are on a 20-5 ATS run off a road loss and I believe they’ll continue to trend in a winning way. I’m recommending a play on the Raptors on Sunday. Thanks & GL! Scott Spreitzer. Scott Spreitzer CASHED his Wildcard Smackdown GOY (Ravens) last night, part of a split, overall. Scott’s on 80-51 & 97-64 NFL runs and he’s on a smoking hot and book-busting 11-4-1 run in the playoffs! Grab Sunday’s NFL PLAYOFF CARD then rock the books!